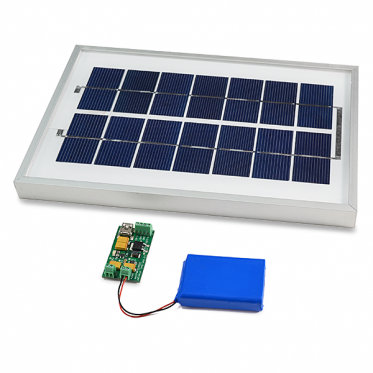 The Solar Module is a small board that can power your Arduino board in order to get a totally autonomous board. It includes a 3W solar panel that, through the module, provides 5V to your Arduino board, and a 2300 mAh Li-Ion battery. Note:You must charge the battery around 13h. at first time.